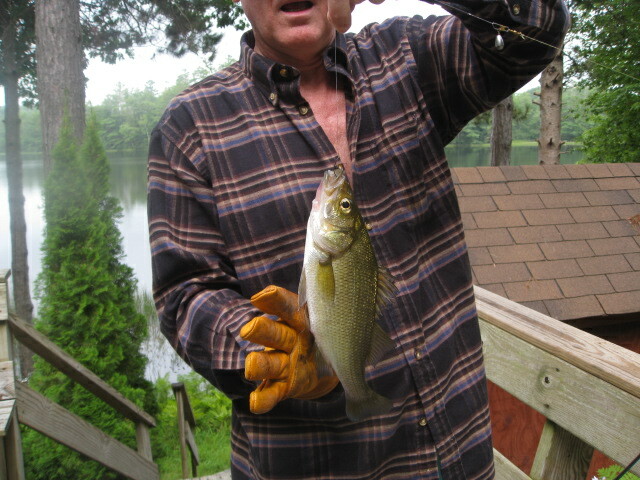 While I caught one on my go-to wacky worm senko, I invariably caught the rest on a Strike King fluke. Why so difficult? I knew the grasses, the structure from the year before, even brought my fish finder. It seems every time I turned my back I heard a noise, a plop. A chestnut or acorn from the overhanging trees. Now why did it take over a week for homo pescatoris to figure out that no fish in his right mind, in 6-9� of water is going to sit around to get bopped on the head? Yet that is exactly what must have been happening. Sure, the grass was great, but not worth a headache. So the fishing was close to ruined by what was above my rod, not by the snags below.